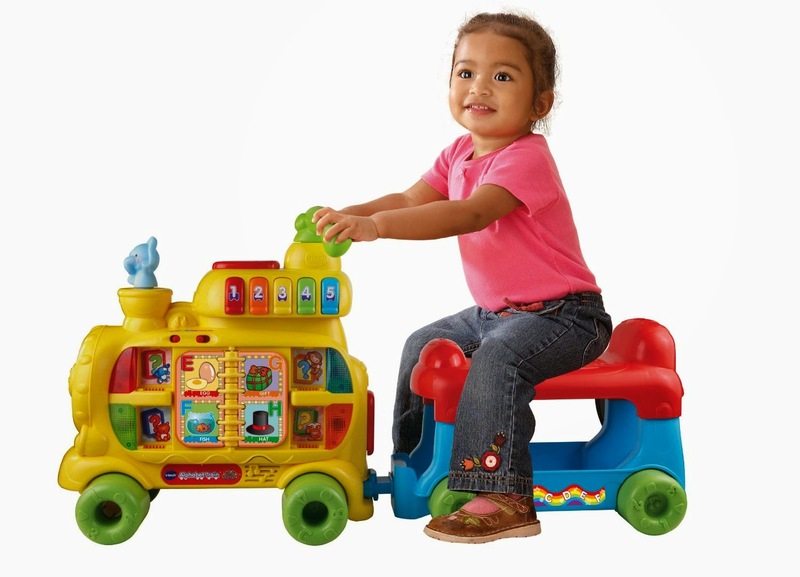 VTech Sit to Stand Alphabet Train - a great way to learn the ABCs! This is another great learning toy for your toddler or preschooler, and it evolves as little one grows! It is super easy to put together, and holds up very nice. My boys love playing with it since they were about 12 months old. 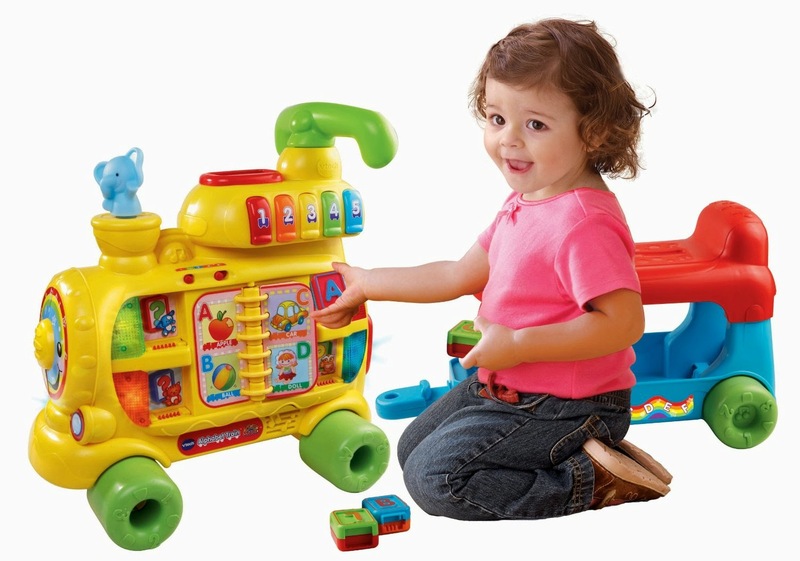 This Sit to Stand Alphabet Train will teach you little person letters, numbers, colours, songs, and more! 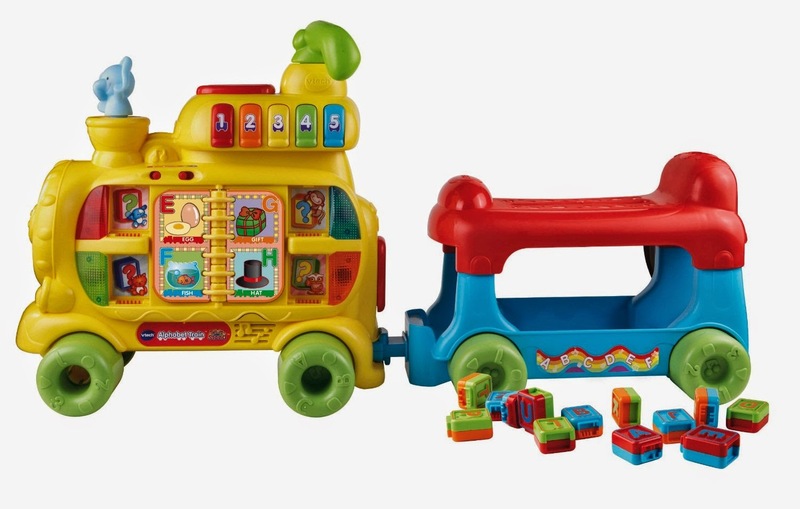 The train features 13 double-side letter blocks, a book with six turning pages, colourful number buttons, an elephant character in the front on the top, a motion sensor, and a drop-basket under the seat for collecting the blocks from the train as they are being dropped/inserted. In addition, it has two modes: Walker Mode and Discover Mode. Although, I would recommend this toy for when your child already begins to walk, or at least learning how to walk. You can sit on the train and go places, as well as insert the alphabet blocks in the special hole and watch them drop under the seat. You can also put the alphabet blocks on the side of the train into special slots that the train recognizes by colour, letter and image that are on each block. The blocks can be used in different ways to learn the ABCs. The train will ask you to find a specific letter block which is fun and educational for a preschooler. I find this is a fabulous learning tool for toddlers and preschoolers. The train also plays the ABC song and other songs as well. My boys love to sing along with the train. 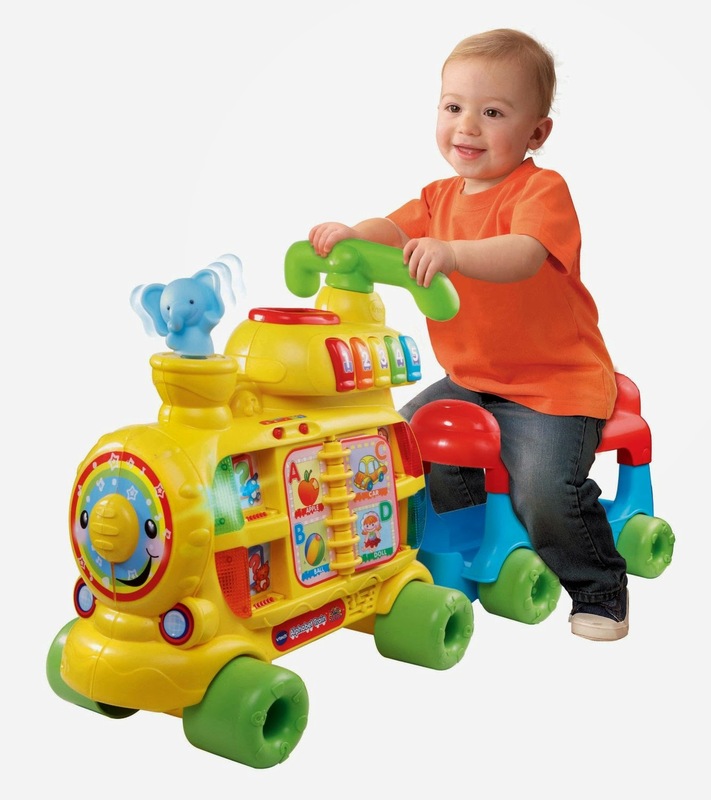 Your child will love pressing all the musical buttons or the elephant which plays songs. 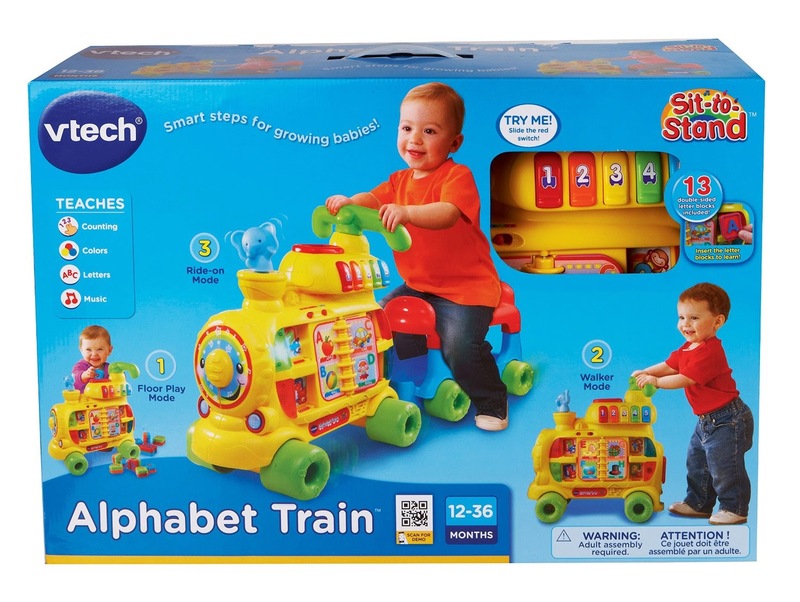 My sons love the fun learning adventures with this alphabet train, and I hope, your child will too!